Home Blog How Mobile Applications Can Improve Your Business Operations? How Mobile Applications Can Improve Your Business Operations? 61% of employees report working outside the office and the number of devices managed in the enterprise has increased by 72% from 2015. Mobility continues to gain traction in the enterprise, as both IT and line of business need to contend with how they will serve employees, partners and end-user customers. Today, an enterprise faces considerable challenges dealing with multiple technologies, with additional responsibility of protecting the data as new devices add up through mobility. With increasing demand for stable and secure mobile apps, the development platforms have started offering low-code or RMAD (rapid mobile app development) solutions to enterprises. These applications can perform and simplify a number of business operations including administration, marketing, resource planning, communications, customer relationship management and more. 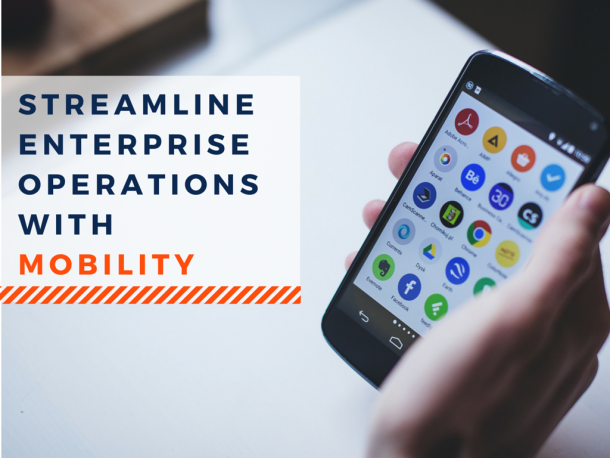 But you must be wondering how mobility is helping an enterprise to increase operational efficiency? Here we have highlighted four business areas on how mobile apps can help businesses streamline its enterprise operations. Enterprise Resource Planning: The enterprise operations have become digital in nature as the enterprise resource planning (ERP) software is managed by the core team which streamlines the business functions and leads to optimum resource utilization. Setting up an enterprise resource planning app for your enterprise can help the remote decision maker to view the resource utilization status, deadlines, key task areas and reports. Moreover, with the limited amount of time with CxO’s, an app which provides a holistic view helps them take effective decisions. Content Management: Managing various content like data sheets, presentations, brochures, whitepapers, case studies, journals is an imperative aspect of every business as it pertains to content generation, information access, and data protection. 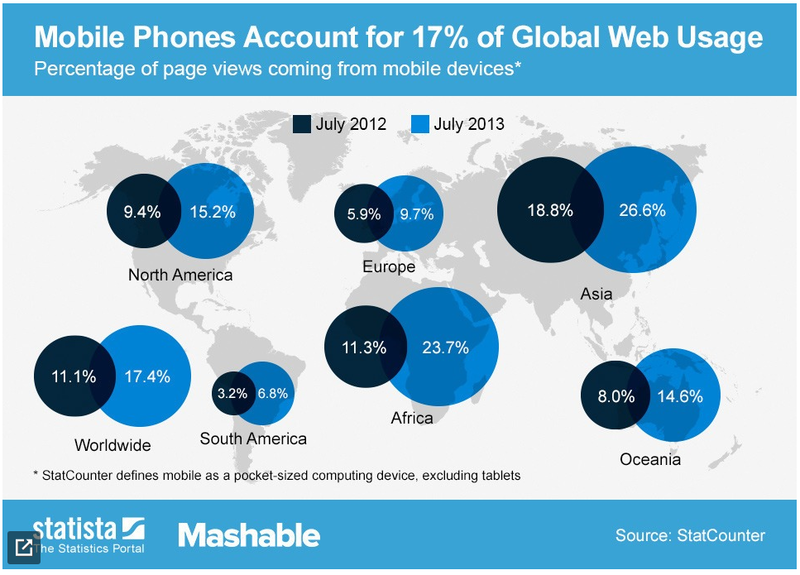 Such content becomes relevant only when the users are able to access it easily and instantly. If you are using Microsoft SharePoint as your backend technology, then simplifying mobile access becomes easy because it provides mobile extensions that can be added to the user devices. The requisite authentications are then generated which facilitates data access via internet and intranet portals. You can easily create sales specific apps like content library which enables access to various product knowledge base and close the lead. Customer Relationship Management: With the ever-changing customer expectations, it becomes very difficult to deliver personalized customer experience, and that’s where a CRM system can help the sales and marketing team set up campaigns and measure the effectiveness. Many organizations have developed mobile CRM applications for its sales and marketing operations to get customer insight and offer services matching the customer expectations. Enterprise Communications: Instant messaging, file sharing, audio and video conferencing are the prime tools for an enterprise team which can be effectively used by developing custom apps for your business. Currently there are many free apps available in market place which solves the need, but there are high chances of data theft and hampering of enterprise data. You can easily create mobile apps that are connected with your secure backend developed by a strong mobility partner. Microsoft SharePoint also provides seamless enterprise integration services for its desktop and mobile users. By embracing custom mobile application development you can not only streamline your business functions but also safeguard your mobile development environment and add new functions to your workflows. This, in the long run, can save your invaluable time, reduce operational costs and increase productivity. It also helps to achieve business agility. Transform your enterprise through mobility with above-mentioned key points. Rishabh Software develops customized mobile solutions and helps enterprise to streamline its business operations and connecting them with customers on the go. Have you developed your enterprise app? Check if your enterprise mobile app includes any of the five security issues. Get a Free QuoteTalk to our experts to get mobile solutions that can streamline your enterprise operations. Benefits Of Mobile Apps For Business: 7 Reasons You Need Mobile App Today!